I ground the blades for these chisels from commercial hacksaw blades, which are made of high-speed tool steel. I attached maple handles with rosewood ferrules. The first handles I made were round in cross section and tended to roll around on the bench. The newer versions, with oval or rectangular handles, stay put. I've found these miniature tools so handy that I now use them for marking and layout work. (For construction details, see "Shop Knives/' AW #32.) — Y.C. 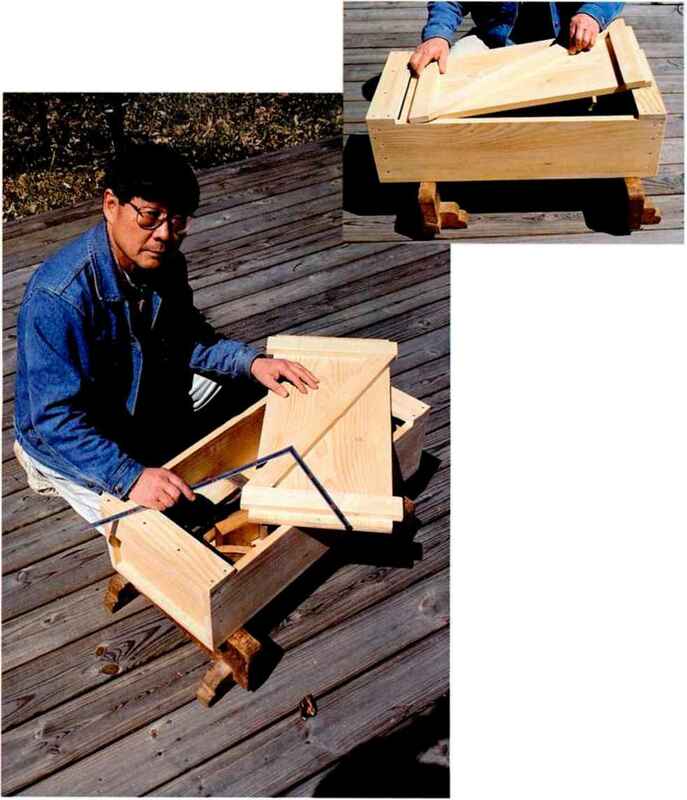 "IT he chair's seat frame is joined at each corner with a mortise-and-f tenon miter joint called a "square comer" joint. The tenons are locked into their mortises with wedges (not shown). Only after the joints are fitted and assembled are the holes for the rear chair post drilled in the mitered seat-frame pieces. The seat frame then slips into place over the posts. 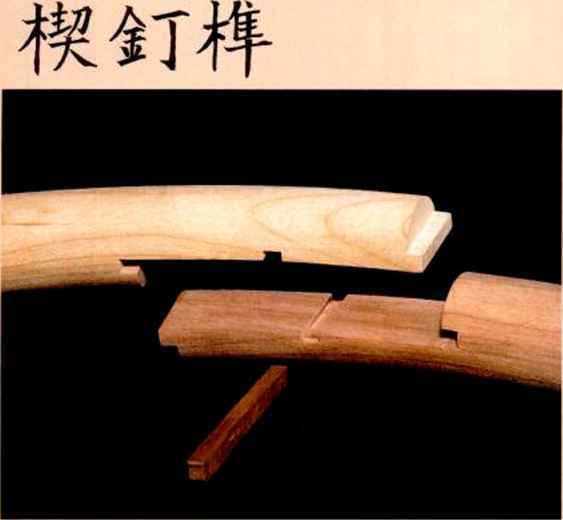 Each seat rail is joined to the leg with a double-tenon joint called a "hugging shoulder." This joint was more commonly found in cabinets and tables than in chairs. 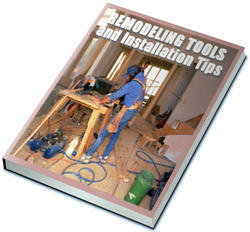 Thin-kerf work. 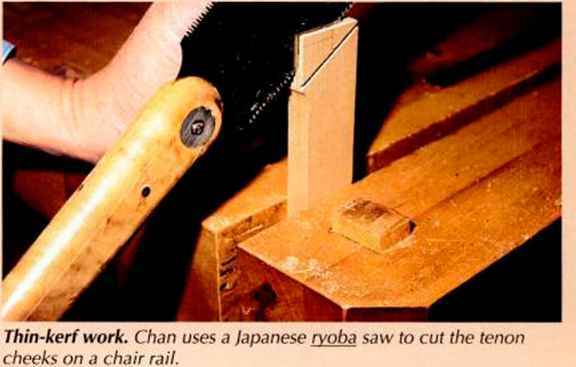 Chan uses a Japanese ryoba saw to cut the tenon cheeks on a chair rail. The chair's back rail is made up of five pieces of wood sawn to a curve and joined end-to-end with "wedge nail" joints. 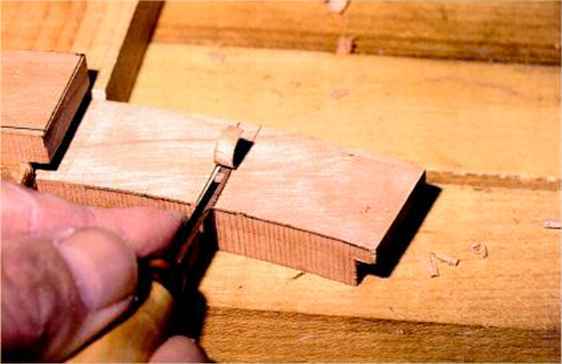 A tapered wooden "key" locks each joint together. 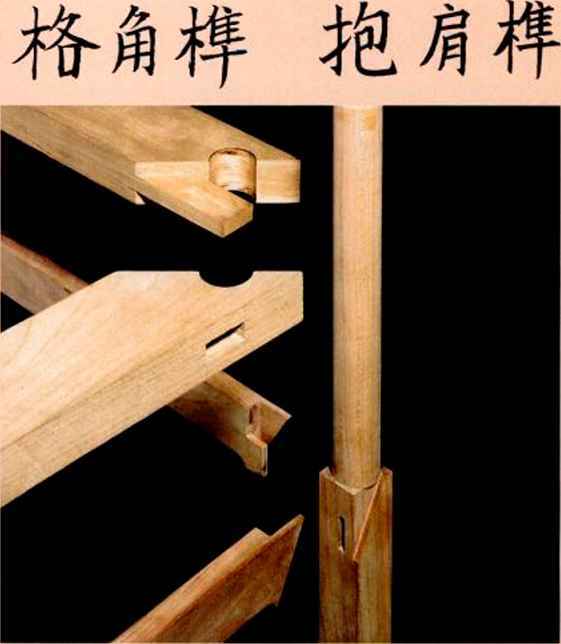 Chinese woodworkers probably developed this joint because much of the wood they used was not suitable tor bending. The wedge nail joint is very strong but must be made precisely, because its strength and rigidity rely on a good fit. In the groove. Chan uses one of his custom-made narrow-bladed chisels (see sidebar, pane 54) to cut the bottom of the tapered keyway mortise in the wedge nail joint. (Dalbergia odifera), a variety of rosewood. Furniture for the common people was often made of various indigenous softwoods, then finished with a semitransparcnt lacquer to provide a uniformity of color. Very few examples of early Chinese softwood furniture survive today.